Each of our LivePictures feature a specially developed nutritionally balanced mineral substrate able to support a wide variety of plant types, depending on available lighting and level of maintenance needed. Measuring 112cm wide (plus 0.5cm for the frame), by 72cm (plus 0.5cm for the frame), the frame is 10cm deep and incorporates a built-in reservoir. 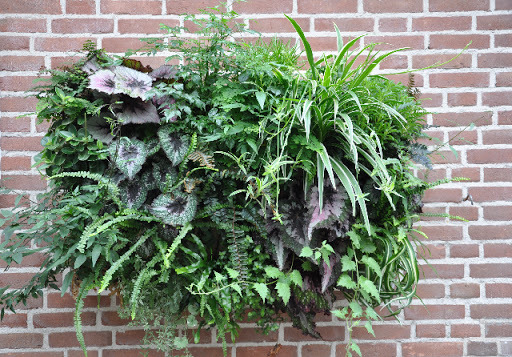 The picture, which weighs around 30kg, is attached to the wall with three bolts; it requires no power, no water supply or drainage system, and only needs watering once a month. For a compact product, the health benefits of our LivePicture are broad. Inadequate air conditioning, ventilation, emissions from computers, printers and paint all contribute towards indoor levels of carbon dioxide and particulate pollutants, while outdoor levels of pollution can be exceptionally high in urban areas. To counteract this, plants can provide a pleasant humidity; remove carbon dioxide and particulate pollutants. 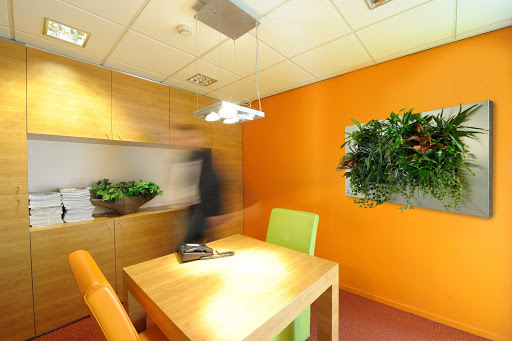 In addition, research has shown that plants can reduce stress, improve mood and, in the case of indoor planting, increase productivity in the workplace.